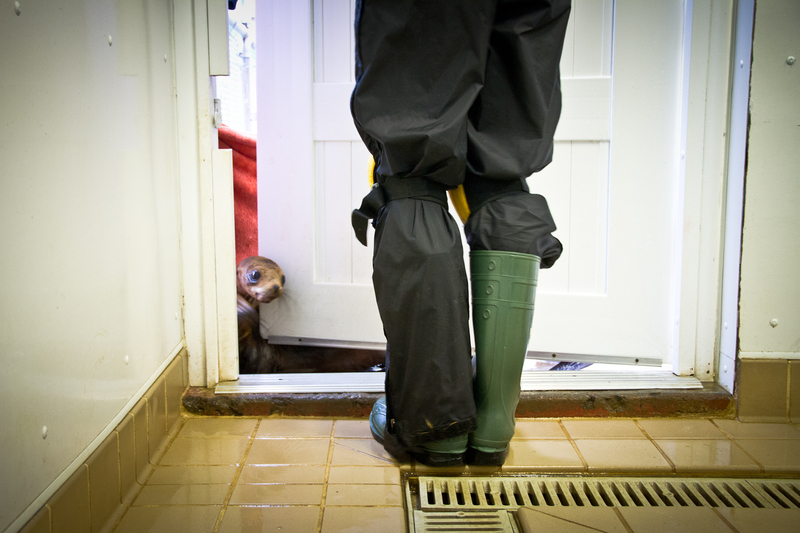 A volunteer let's in a sea lion pup from the outside enclosure for its turn at breakfast. Rescue workers crack the door to shepard in a couple at a time. Otherwise, hungry pups will rush the feeding room.